As a homeowner, you probably understand the need for your heating and cooling system. However, you may not understand the importance of proper care and maintenance. Certain parts of HVAC maintenance are easier than others. For example, changing your filters is something you can easily do on your own. Other maintenance tasks require a bit more understanding and professional assistance. The evaporator and condenser coils are imperative parts of your system’s operation, so understanding how and when to clean these coils is essential. This guide and your contractor will help you understand the differences between the evaporator and condenser coils and the benefits of cleaning them quarterly. Before you can understand the benefits of cleaning them, you need to understand the purpose of your system’s evaporator and condenser coils. 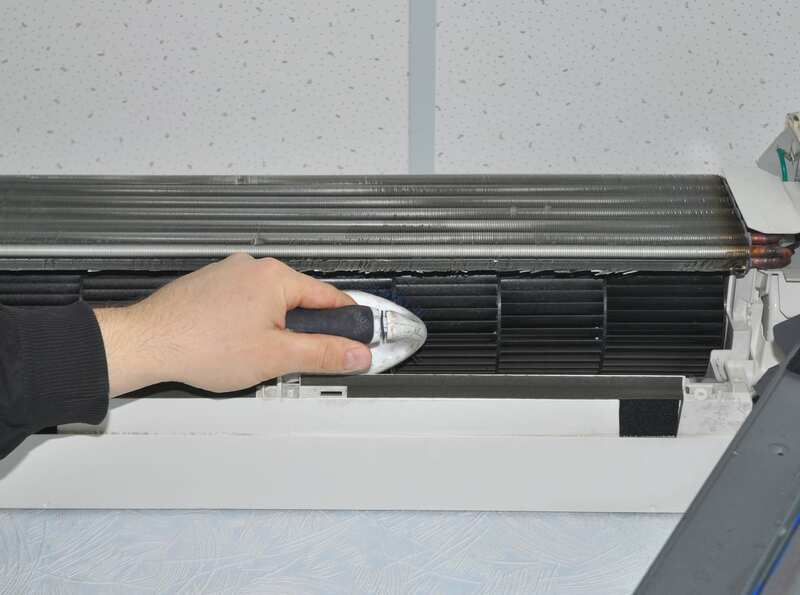 The main function of the evaporator coil is to remove heat from the indoors and transfer it to refrigerant. This coil is located inside the indoor air handler and is the start of the air conditioning process. The condenser coil is located in the outdoor unit, and it works in a similar manner to the evaporator coil but in reverse. Instead of removing heat from the inside of your home, the condenser coil releases the heat into the outdoors. Because the evaporator coil is located inside your home, you may think it is safe from the elements, but that is not necessarily true. This indoor coil is exposed to a great deal of dust, dirt, smoke, and any type of debris or allergen that is moved through the system. The condenser coil is not only exposed to the different dust particles and allergens floating in the air but also pests, grass clippings, dirt, and mulch that may make contact to your outdoor unit. Because of the constant transferring of air, dirt, and dust, along with the exposure to various elements, cleaning the coils offers several benefits. Contractors can inspect and clean both your evaporator and condenser coils along with the other parts of your heating and cooling system to ensure they are clean and working properly. Coils clogged with dirt and debris will prevent your system from conditioning your home in the most efficient and effective manner. Experts believe clogged coils will cause your system to work harder in an attempt to condition your air, increasing your energy usage by 30 percent on average. Along with inflating your monthly energy bills, this increased energy usage is wasteful and damaging to the environment. The cleaner the coils, the better air circulation you will see. Good circulation improves how well your system conditions your home, helping you feel more comfortable when cooling your home during the warmer seasons. Regular cleaning of your coils can also extend the life span of your system. The effective removal of debris from both the evaporator and condenser coils ensures the system works properly, reducing wear and tear on the motor and compressor. Cleaning the coils, along with performing other routine tasks, will maintain your system’s function for many years to come. HVAC maintenance can also improve your home’s indoor air quality. Whether you are part of the millions of people who suffer from allergies or have family members or guests who are, air that is free of dirt, dust, pet dander, pollen, and mold spores will help ease and prevent allergy symptoms. For more information on coil cleaning or to schedule service on your heating and cooling system, contact Mauzy Heating, Air & Solar today.